Why do we love pansies so much? Maybe because they can come in just about any colour you want? Maybe because we can have two-coloured ones? Or maybe just because they are simple and lovely? No matter the reason, as a crochet bouquet they look amazing. Make them in your favourite shades or try a multi-color bunch. You want be disappointed! For more free designs every day follow us on Facebook. Link to the free pattern is below. 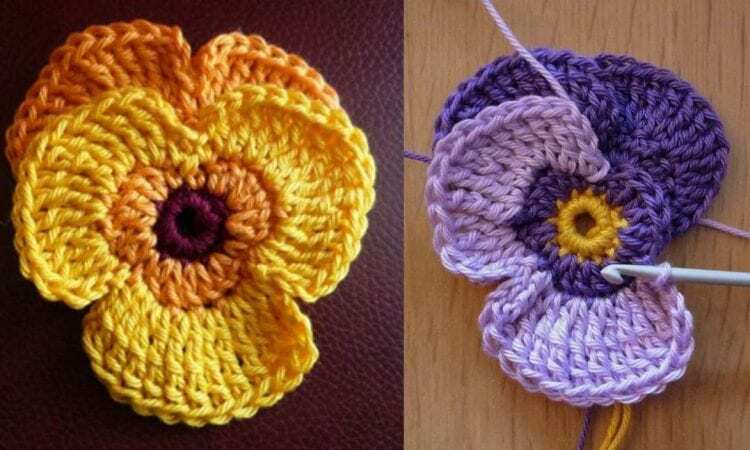 Crochet Pansy – Free Crochet Pattern is>>> here. You may also like Grannys Floral Pansy – Free Pattern>>>> here.